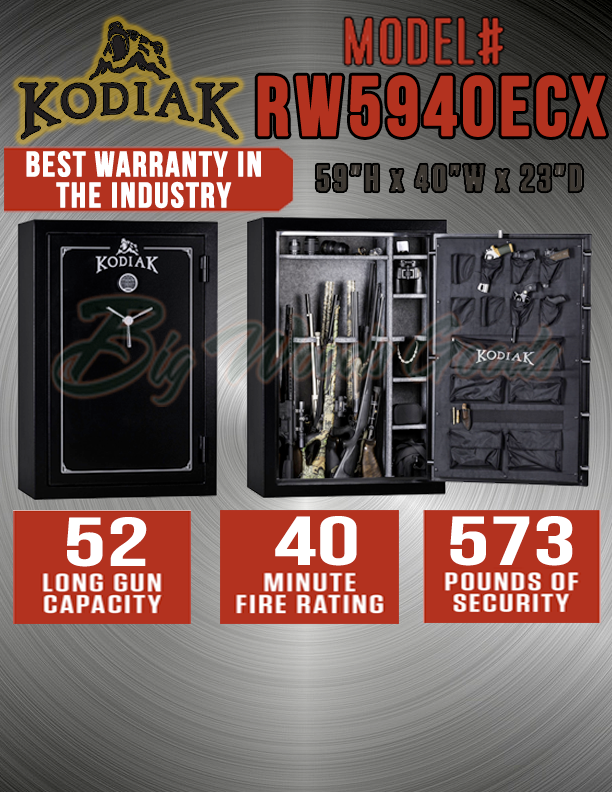 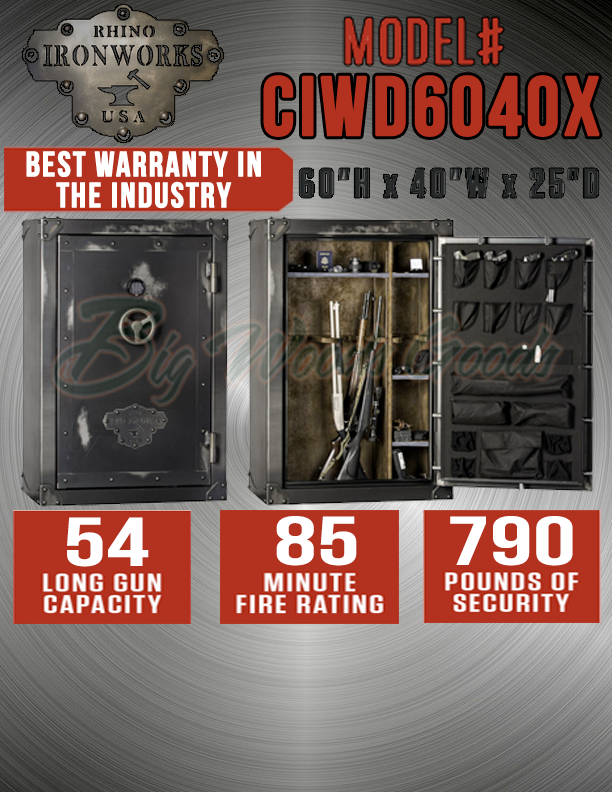 Big Woods Goods - We stock the Rhino, IronWorks, BigHorn and Kodiak Series safes. 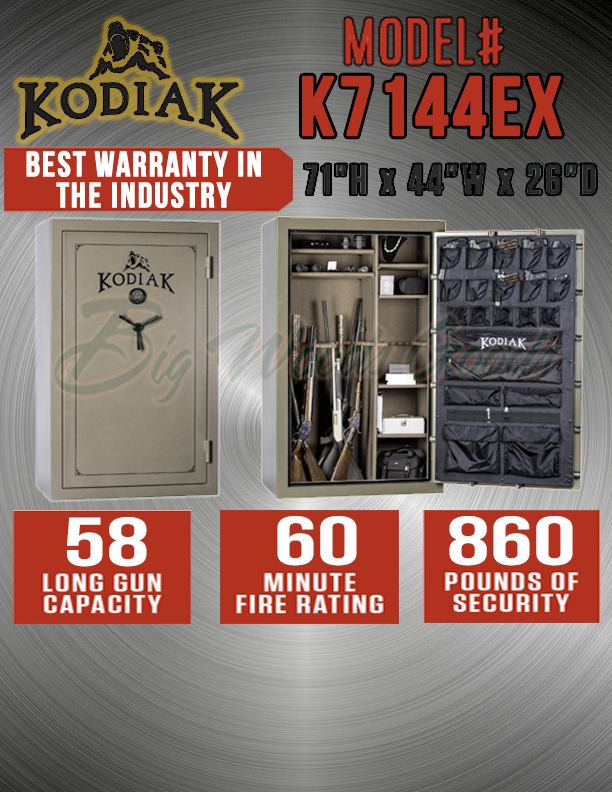 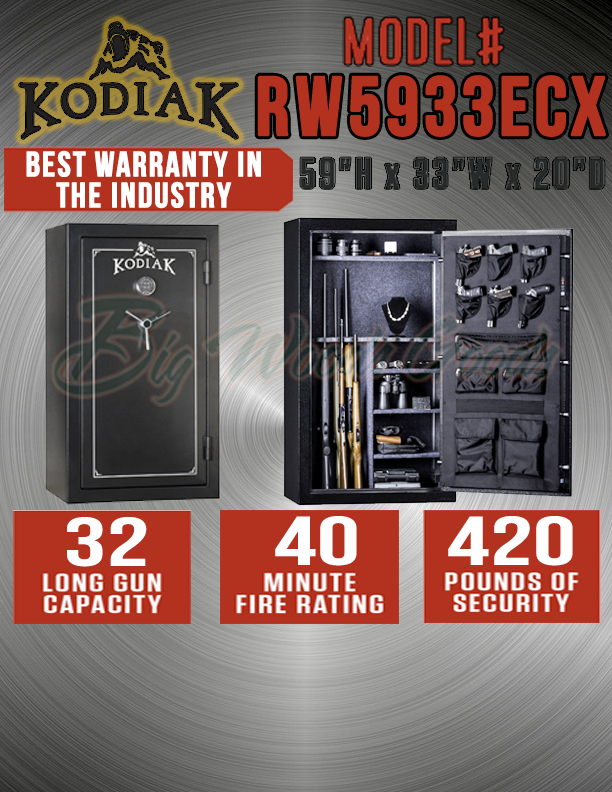 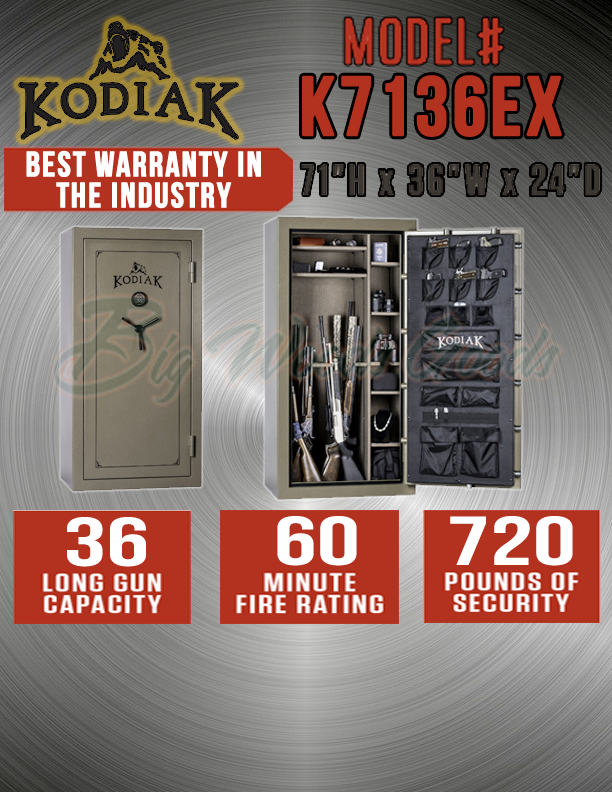 "Your Genuine Rhino Safes Dealer"
We stock the Rhino, IronWorks, BigHorn and Kodiak Series safes by Rhino Metals, an American gun safe manufacturer located in Caldwell, Idaho. 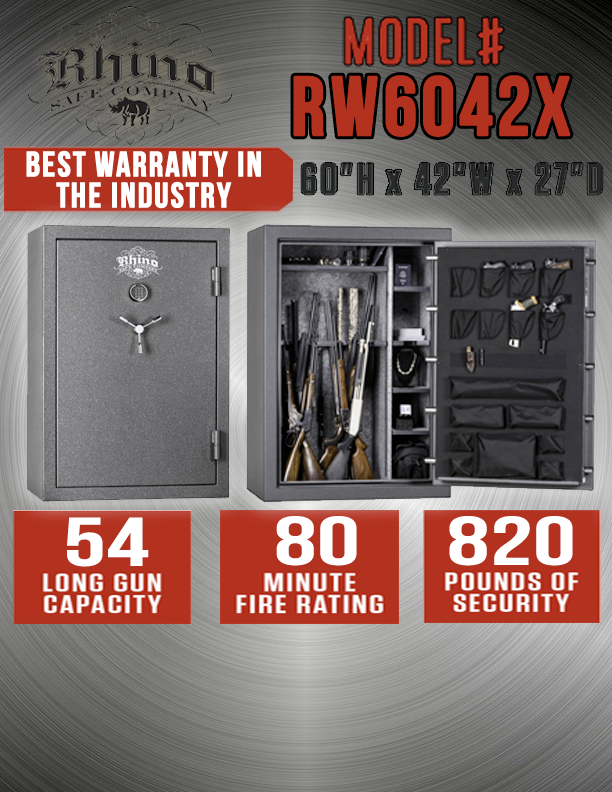 Part art, part furniture and all security make these the Best in Gun Safes. 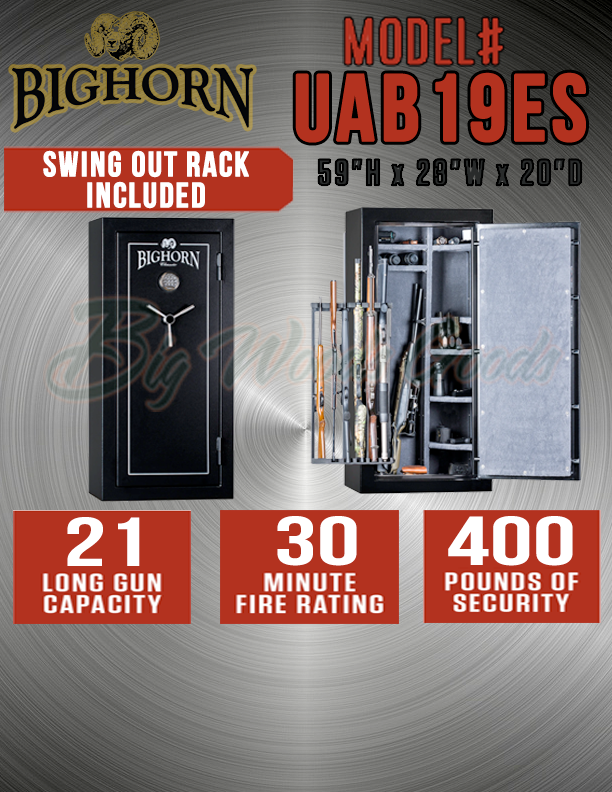 We normally carry a selection of the models shown below. 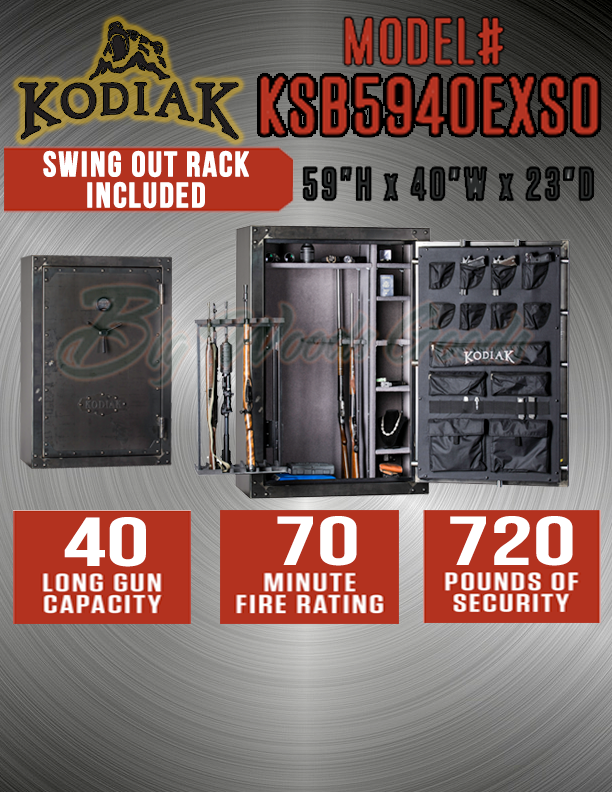 We can arrange for shipping and delivery to your door; we can help you load one on your own truck. 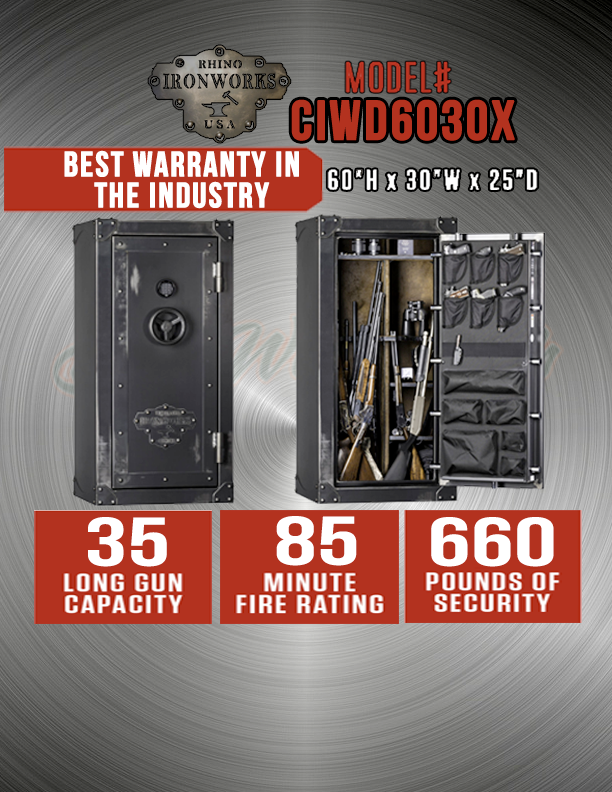 You've heard about them from Rush Limbaugh, now come by and see for yourself.